Wizard Wands! - 12 Paper Designs - INSTANT DOWNLOAD! No waiting! DIY Magic Wands - Just Print, Cut and Assemble! 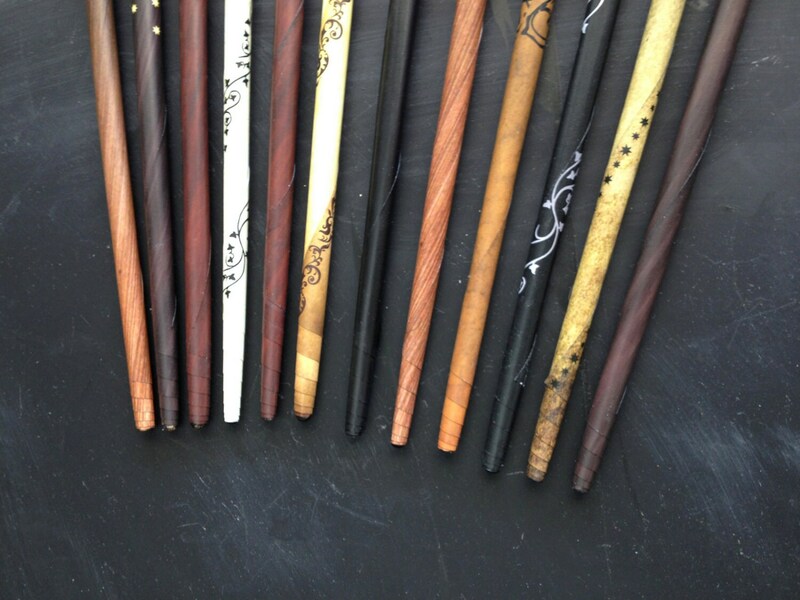 Make realistic Wizard Wands RIGHT NOW with this INSTANT DOWNLOAD! Save time, money and make as many as you need! Just print, cut, and assemble. It's easy to do and detailed instructions with 20 color photos are included. •Digital File - Printable PDF wand patterns 12 designs. Print all or just the ones you want and as many as you need! 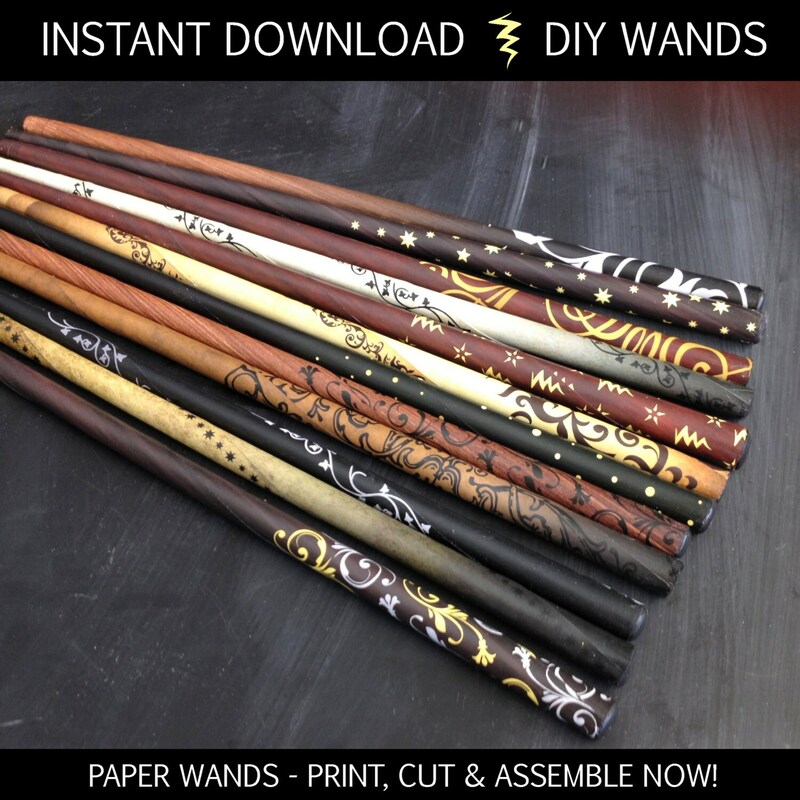 Print the wands onto regular paper (not card stock) and assemble using scissors, markers and a glue stick. 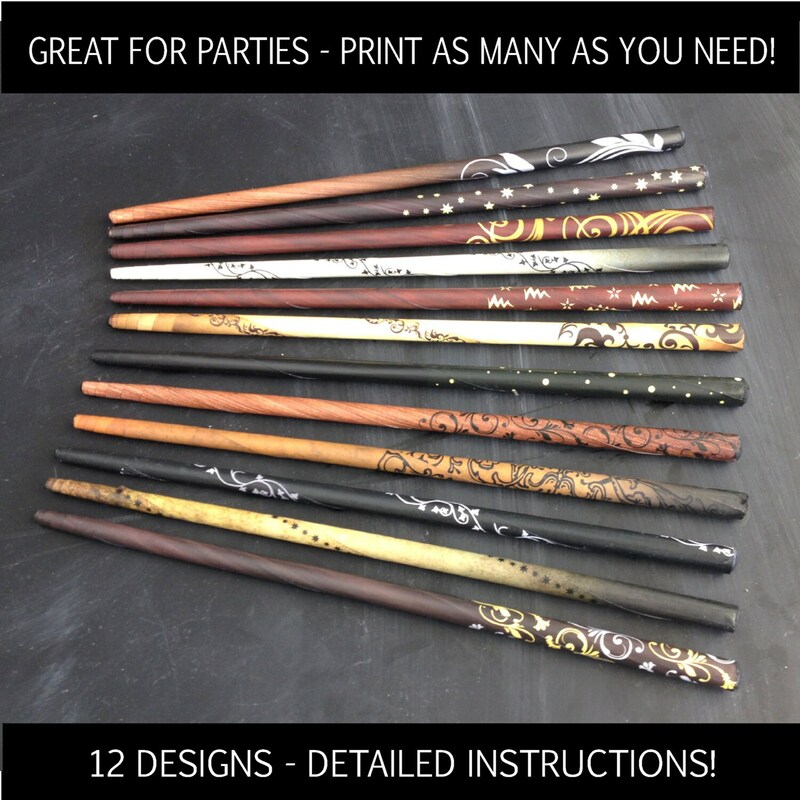 Instructions are included if you would like wands with sturdy ends (using hot glue to fill). Time to complete 12 wands is about 1 hour. 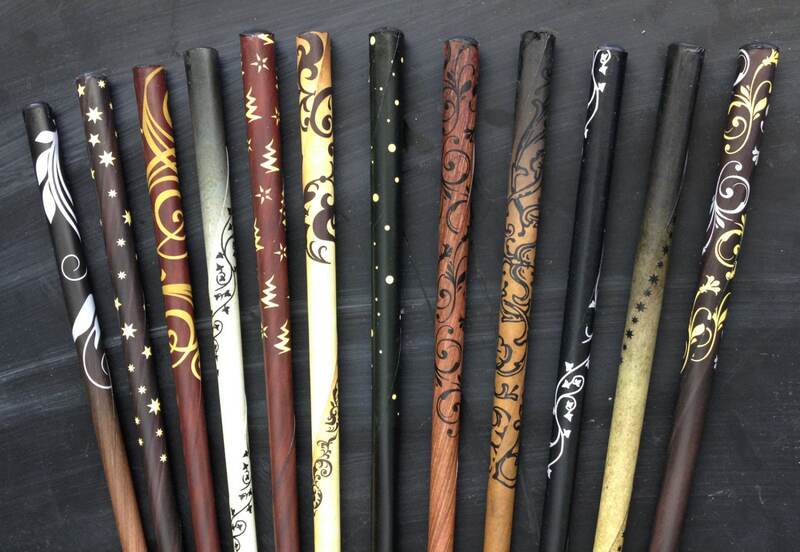 If you decided to use hot glue to finish the ends, time to complete 12 wands is about 2 hours. No actual materials will be shipped. The file will be available immediately on Etsy after you make your purchase. When your payment is complete, a link will appear for you to download the file. You can also access the file instantly for download by clicking on your purchase history. Print at home or take files to a print shop (ex: Staples, Office Depot, Kinkos, Fedex Copy Center). You can often save money by supplying your own paper. •Sugar Shebang is NOT responsible if you do not have suitable software or a working knowledge of how to open or use this item. Please note that colors may slightly vary (usually print darker than what's on the screen). I cannot guarantee that the color on the computer is what your printer will print, all printers print colors differently. Due to the nature of this product, I cannot offer refunds. Thank you and have a magical party!